R Mall is a 250000 sq feet four storied fully Air Condiitioned Mall developed by Runwal Group which stands tall at LBS Marg, Mulund West. 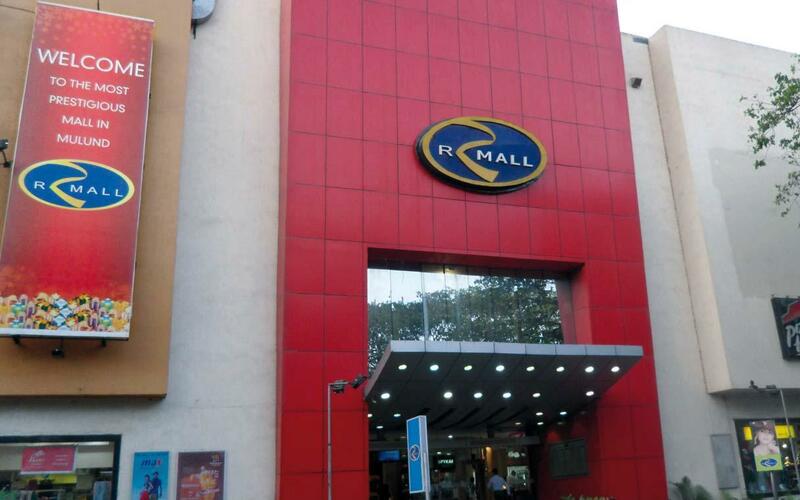 R Mall marks the foray of Runwal Group into the Retail Industry. R Mall is the landmark and pride of Mulund . It hosts world class shopping and entertainment brands, food courts and a Four screen Multiplex R Adlabs. The Mall has a huge 6 level parking facility which can accomodate more than 800 cars and boasts of maximum footfalls among other malls in the city. The footfalls on Weekdays (Monday to Friday) is 10000-12000 per day and on Weekends (Saturday and Sunday) is 40000 to 50000 per day. R Mall houses Big Retail brands like Big Bazaar, Westside, Lifestyle, Provogue Studio, Raymond's, Pizza Hut, Subway, Caf? Coffee Day, 31 Baskin Robbins, Mongini's, Archies Gallery, Planet M, Weekender, Ruff Kids, Hakoba, Tanishq and many more. There are more than 55 Retail Brands in R Mall. These brands offer a wide range of products and services to cater to every taste, style, want and budget. R Mall offers everything one looks for from shoes to shirts, kid's wear to sarees, pins to pizzas, South Indian to Lebanese Cuisine, movies to dashing cars and the list goes on. Along with the wide range that R Mall offers, it also ensures that the Shopping experience of its Customers is positive and delightful and thus, the mall offers a Customer Service Desk, Escalators / Elevators, Public Restrooms, Public Telephones, ATMs, First Aid Facilities, Lost & Found Services, etc& The immense popularity of R Mall among Mumbaikar families, within such a short time span is a testimony of the fact that several benefits and entertainment options are offered in the friendly environment and happening ambience of R Mall. Indeed, R Mall is a one-stop center where you can not only shop but also watch a movie, read a book, sip coffee and enjoy dining, all under one roof. R Mall makes shopping a Fun Activity .